The majority of faculty and staff at Bemidji State University use Mitel Voice over IP (VoIP) phones. 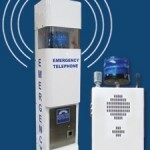 You will also notice Emergency Phones located across campus. Please notify Public Safety at 755-3888 or submit an online help desk ticket here if one of these phones appear to be out of service. Our Knowledge Base has many articles about how to use your Mitel phone.